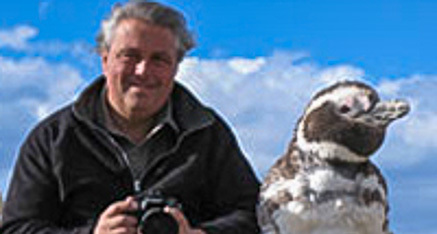 Frank is the founder of several companies and initiatives worldwide, all with a focus on wildlife observation. The emphasis is placed on sustainable ecotourism, contribution to research and conservation programmes and the cooperation with young people and students. Frank has been working in the tourism industry for more than 25 years. He came to the Azores for the first time in 1993 and in 1996 he founded Pico Sport Lda. Eduardo has been working for Pico Sport since 2004. For many years Eduardo worked as a captain on fishing vessels in international and local waters. Today he works as a relief skipper on the whale watching boats. As a real “Picorotto” his knowledge of the country and people is essential in his daily interaction with our customers. 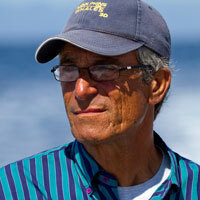 Emanual has been working as a skipper for Pico Sport/Scuba Azores since 2005. He is considered the best captain of the Azores when it comes to professional work with sperm whales and is therefore regularly booked by big film teams. He was involved in Jean-Michel Cousteau’s “Dolphins and Whales” 3D production. 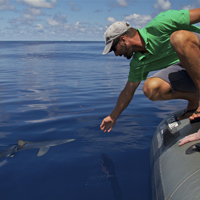 He is one of our certified shark skippers trained by Dr. Erich Ritter and travels regularly to the offshore banks to work with sharks, Mobulas, whales and dolphins. Anteiro is one of the most important components in Pico’s whale watching business. 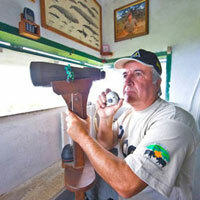 He is a vigia, a land-based whale spotter, equipped with the skills to spot whales and dolphins from a far distance only using a set of binoculars. Early in the morning he takes position in his look-out tower, informs us about the different species he is seeing and directs our skippers, just like a flight controller, by radio to the right location. He is the most knowledgeable of all observers, a specialist with more than 20 years of experience. He really does not miss a single blow! Rui has started working as a skipper in 2011. 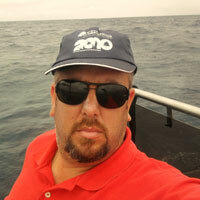 He mainly runs our whale watching tours from Lajes. He is a typical resident of Pico with an excellent English. He is popular with our guests due to his friendly manner, his good eyes for animals and his relaxed driving style. Rui’s passion for boats and the ocean lies in the family as his father and grandfather were ship builders. 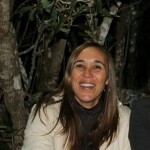 Fatima has been working for Pico Sport/Scuba Azores since 2005. She is responsible for all administrative work necessary to keep Pico Sport running. From obtaining licenses and paying bills to important contacts with local organisations – Fatima has everything under control. She has been raised at Pico and is loved by the other team members for her disarming smile and warm, welcoming personality.